There is a beach for every day of the year on Antigua (pronounced An-tee’ga) Island, many of them with stunning sugar-white sand that is protected by coral reefs. 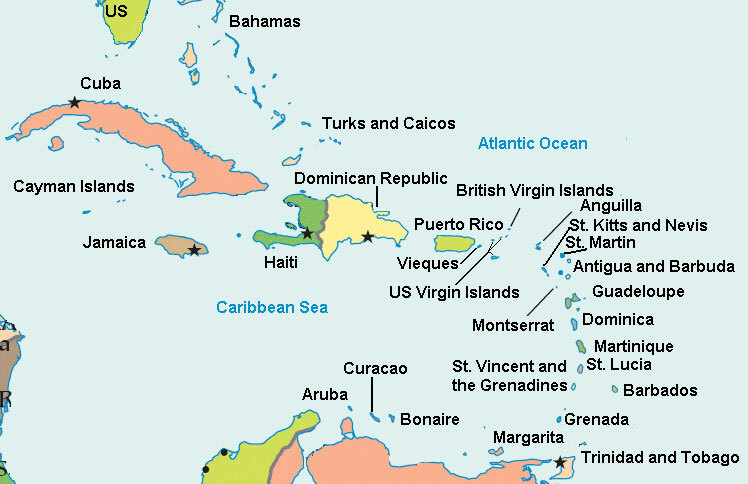 Antigua is the largest of the English-speaking Leeward Islands and is about 14 miles long and 11 miles wide. This Caribbean island is roughly 17 degrees north of the equator. Temperatures generally range from the mid-seventies in the winter to the mid-eighties in the summer. Annual rainfall averages only 45 inches, making it the sunniest of the Eastern Caribbean Islands with low humidity year round. Perfect anytime of the year for an Antigua villa vacation! Tucked away on many of the pristine beaches are luxury Antigua villas. All beaches are open to the public, so the challenge posed to an Antigua villa rental guest is not how to gain access to the best of them but simply how to decide on which beach suits one’s taste. The coasts of Antigua are ideal for yacht cruising and racing, with the consistent trade winds and many harbors for exploration. Jolly Harbor is a lively one, which is where many Antigua villa rentals are located. In Jolly Harbor, there are restaurants, bars, shops, golf and so much more! English Harbor, Antigua’s graceful and evocative historic district is focused on the fifteen square miles of Nelson’s Dockyard National Park. Antigua Sailing Week starts on the last Sunday in April and is a very popular event. Make sure to reserve your villa in Antigua early to ensure availability. This sailing week started in 1968 when a group of friends got together to hold a regatta and the event has occurred every year since! The week before the first Tuesday in August is summer Carnival, bringing exotic costumes that recall Antiguans’ African heritage. Festivities include calypso and steel band competitions, as well as parades of bands. What a fun way to enjoy Antigua villas during the summer season, when there are lower villa rental rates. Indian Town, one of Antigua’s national parks, is home to Devil’s Bridge. This is a natural bridge carved over time by the lashing of breakers. Be sure to look for the numerous blowholes created by the pounding surf. Whether you decide to dine at a beachside restaurant or in the comfort of a private Antigua villa, the seafood is as fresh as it gets! Steel bands, limbo dancers, calypso singers, folkloric groups -- there's always something happening by night on Antigua. Enjoy an Antigua villa that allows for flexibility and privacy on an Eastern Caribbean island with so much diversity and fantastic things to enjoy!